Country artist/songwriter Kristen Kelly cut her teeth on the music scene in her home state of Texas. Her sound caught the ear of Arista Nashville, who signed Kelly and brought in award-winning producer Tony Brown and Grammy-winning songwriter Paul Overstreet to oversee her major-label debut including the lead off single, "Ex-Old Man” which was her first top 30 billboard charting single. 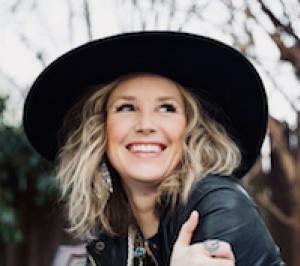 As one of CMT’s Next Women of Country, Kristen has spent the last few years writing, recording, playing the Grand Ole Opry all the while touring with acts including Brad Paisley, Rascal Flatts, Montgomery Gentry, Jake Owen, Gary Allan and more. Her independently released FIRE ep (2015) includes the hits "Kiss By Kiss" and "Fire". Kristen is scheduled to release new music in 2018.